Purple, Green, Blue, And Red. © Copyright 2019 G Dan Mitchell – all rights reserved. Objects along the sidewalk, San Francisco. 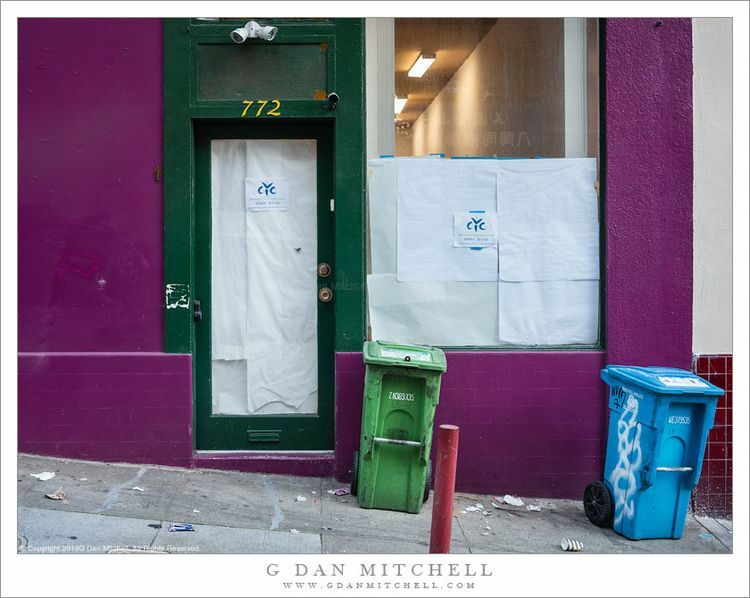 Given its title, it should be obvious that this photograph is, at least in part, about the colors I found in this little downtown San Francisco scene. The specific location probably isn’t too important, though it is a central city area that is not one of great wealth and privilege, but which is perhaps under some pressure from the developmental forces currently bringing radical changes to the qualities that made this city famous.